Affiliate marketing is awesome and if you take the right steps you can have a huge benefit out of it. Let’s take for example TeslaThemes Affiliate program. It is a good example of how generating just one sale per day can bring you up to $4.000. The article is a good piece of math, stats, and calculation, that really proves how profitable the TeslaThemes affiliate program is. But these are still numbers, though important and persuasive, but, let’s be honest, boring. That’s why today I want to share with you something not less useful, but a little more “humanitarian” – 5 strategies that can bring you up to $4k per month. I will dive into the details on how you can benefit from Facebook, Instagram, Quora, Reddit and/or your own blog. What’s the point to become an affiliate in a WordPress-related program? Let me shed some light on this subject. Being a happy owner of a blog or a website, you need no start investments, staff, even a product. You aren’t expected to be an expert in subject and marketing. Affiliate programs owners provide everything: full marketing kits, catchy banners, personally customized promo-codes, marketing tips on how to promote their product etc. So whip your muse and move ahead to the new adventures and an impressive passive income! I can’t imagine a person that would be bothered with additional money. Best strategies to get up to $4k per month with WordPress. First of all join the best affiliate programs. It seems obvious, but before you start, a careful research should be done. So don’t take it lightly. And then promote, promote and… promote. Spread your referral links throughout the internet. There are literally tens of facebook groups related to WordPress & Blogging. Select up to 5-7 groups, engage regularly in them and help others by answering their questions. There are a lot of newbies who want to create their website and ask any kind of questions, such as ‘’which hosting would you recommend, ‘’Which Theme would you recommend’’, ‘’Which plugin would you recommend to achieve …. ?’’ etc. You can help those people sharing the information with them and in the same time providing them with your affiliate links. If you want me to share a huge list of WordPress related groups you can engage, comment below and I will send you the details. Important: make sure the group rules allow you to share affiliate links and also would be good if you will mention that the link you’ve provided is an affiliate one. Repost interesting things from the affiliate program owner’s site or blog, including your affiliate link in the post. Announce your friends and your friends’ friends about you joining an affiliate program and encourage them to do the same and help your network grow. 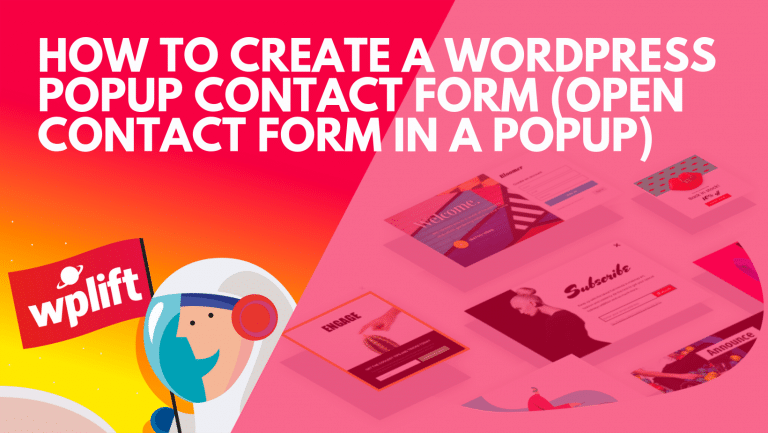 Create a viral post that would include your referral link (insert it as a hyperlink or provide it directly) and encourage your friends to give it the first portion of likes and shares. Subscribe to WordPress. WordPress Themes, Blogging, Webmastering and other related topics. Answering the questions insert your referral link to the product you promote when it’s appropriate. Try to make your answers as useful as possible to build a strong reputation. This way your answers will be noticed and demanded by the community. Engage with the communities you find interesting. Gain karma before starting to promote. Grow your account’s reputation first, commenting on the submissions that are interesting for you. Good comments will come naturally and gain upvotes. Post in the subreddits with your targeted audience. You can find them using Reddit search engine. Don’t forget to follow the rules of each subreddit. Constantly check them for posts where you can promote without being obvious. Don’t add hyperlinks to your comments. Instead, insert usual links at the end of the message or in an update to it. Run unique and fun advertisements on Reddit like this. Place the banners provided by the affiliate program owners on your site. Use free tools like AdRotate or follow the instructions to create a banner rotator by yourself. Pay attention to the native advertising. You can write an article on a subject related to the product you promote and mention it slightly. Put a referral link to it where it fits well and doesn’t look like advertising. Write detailed product reviews with tips on usage and other useful info. Don’t forget screenshots! And the link, of course :). This one in fact is really strong, you can get a lot of organic traffic. People always tend to search on Google first for a review before they make a purchase. So creating an article with a title for example ‘’TeslaThemes Review. Awesome Premium WordPress Themes’’ will definitely secure your passive income for the time to come. Send your subscribers regular newsletters on your recently published articles or covered products, including referral links to them. Use one of the email services that make the task as easy as saying “WordPress”. Stick social media like & share boxes to your blog if you haven’t done this yet. You can link your Instagram and Facebook accounts to share posts directly from Instagram to Facebook. See how to do this. As soon as WordPress themes are 90% about graphical content, Instagram is a perfect way to promote them. Include audience-specific hashtags, like #wordpress, #wordpressthemes etc. Once again, all the math and data proof is here. Put a little effort and (I know, I know, you’ve heard this a thousand times) watch your PayPal account growing. This is your deserved harvest after the WordPress field cultivation. What tips do you have on earning money with WordPress-related affiliate programs? Share your suggestions on how to derive maximum benefit from them. Recently, I am trying to engage myself in the affiliate marketing concept. But I was missing some issues and found such informative ideas from this post. In your personal blog section you have given priority about personal touch rather than advertising which I liked the most. Hope I will be able to catch up soon. It will be helpful if you can share the WordPress related group list. Thanks in advance and after following some of your tips I will surely put a feedback on the comment section.